Thank you for registering to Tour Sun City. We will show you all the amenities at Sun City and show you homes for sale in Sun City. We can also share with you information on the Charlotte and Hilton Head areas for golf, dining, shopping and activities. We will show you resale homes and new homes for sale in Sun City. The Charlotte area offers NBA, Nascar, NFL, Golf Courses, shopping and great restaurants. 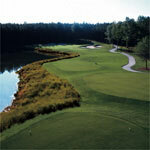 The Hilton Head area offers many activities, World Class Golf Courses and great beaches. Along with all Sun City has to offer and great year round weather, this may the perfect place to live!!!! Please fill out the form as completely as possible and we will contact via email or phone to set an appointment to Tour Sun City!! Please let us know if you want a Free Brochure or Free Map of Sun City or Photo Gallery emailed to you.. Thank you and we look forward to taking care of you in finding your dream home in Sun City! !